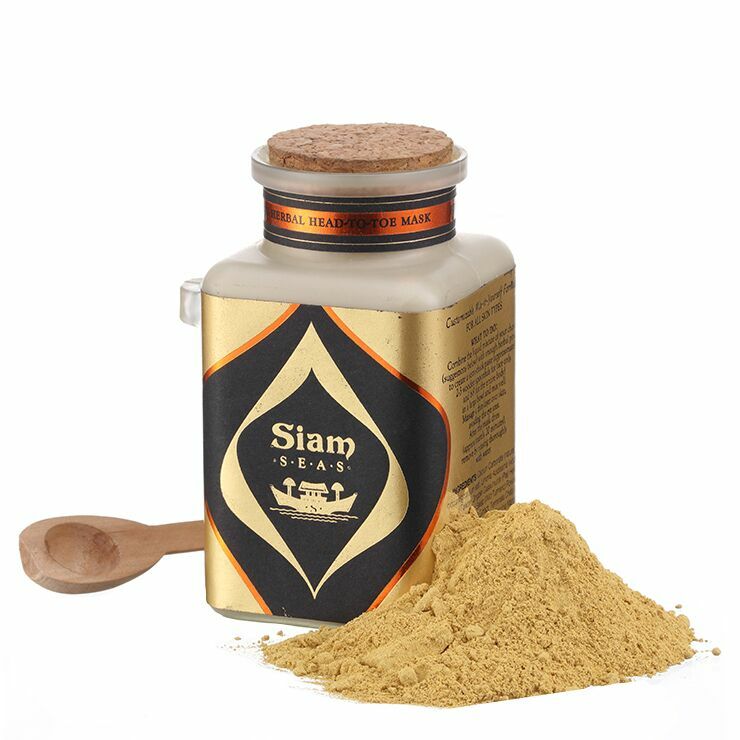 A mask for all skin types, Siam SEAS Purifying Herbal Head to Toe Mask is a mix of ancient herbs, long used for their ability to transform the skin’s appearance. Turmeric, som poy, and mangosteen powders combat signs of inflammation and dullness, making skin look bright and youthful. Customizable to address personal skin concerns, this mask may be used on both face and body. Add water to create desired consistency for your personal skin concerns. Apply the mask to face or body, and allow to set for 1-10 minutes, depending on your skin sensitivity. Remove with a warm cloth. Use as needed to improve the look and feel of tired, dull, or upset skin.